This weekend the women of our church had the opportunity to meet together and hear wise counsel from leaders in our church. Every 6 months we have this Women's Broadcast and it has recently become available to girls ages 8 and up. It is such an uplifting meeting and a way to rejuvenate your spirit and prepare for further counsel from a living Prophet next week during General Conference. 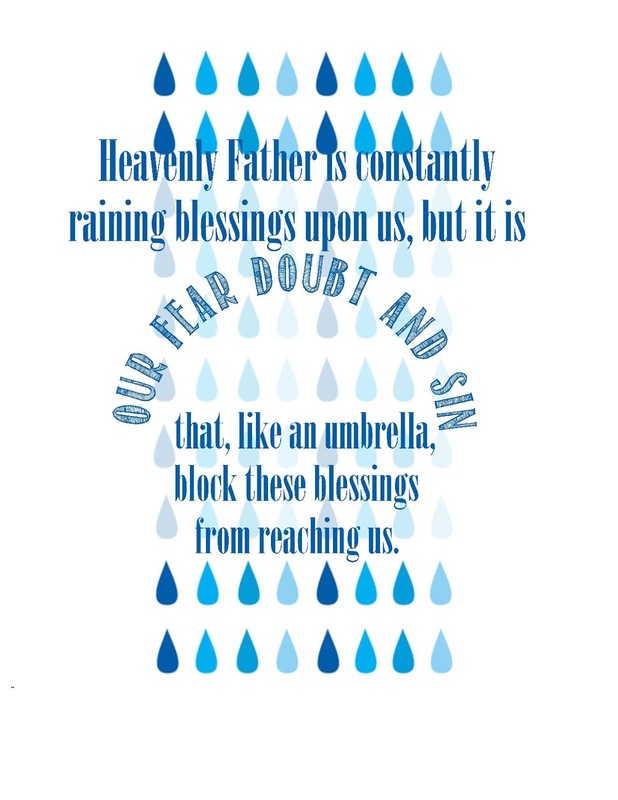 One of our favorite speakers is President Dieter F. Uchtdorf, who is an apostle. He always has thoughtful, motivating messages for women. 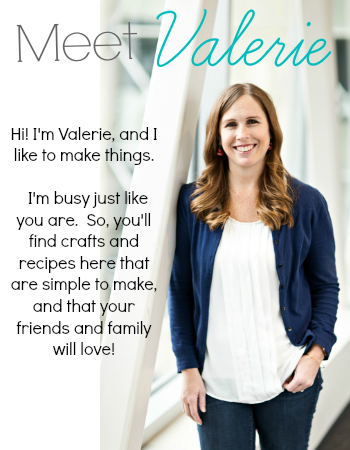 Valerie made up a quick printable of her favorite quote to display as a reminder to her how blessed we are, even though we don't always realize it. You can download your copy here. I had the privilege to lead a choir of girls ages 8-11 after the broadcast was over. These sweet girls came together and sang for their sisters, moms and fellow members of their congregation. It was a nice moment to share with them, and I wanted to thank them for coming and singing. 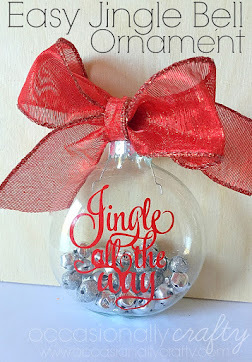 As my style usually shows, I look for simple, easy to execute crafts that still deliver a strong visual impact. 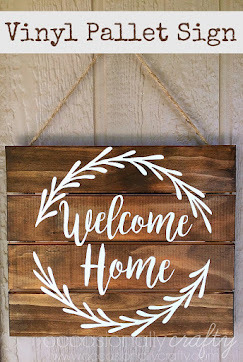 This is purely a Pinterest find and re-creation, but I thought that this could be used for so many things that I had to share it with you! 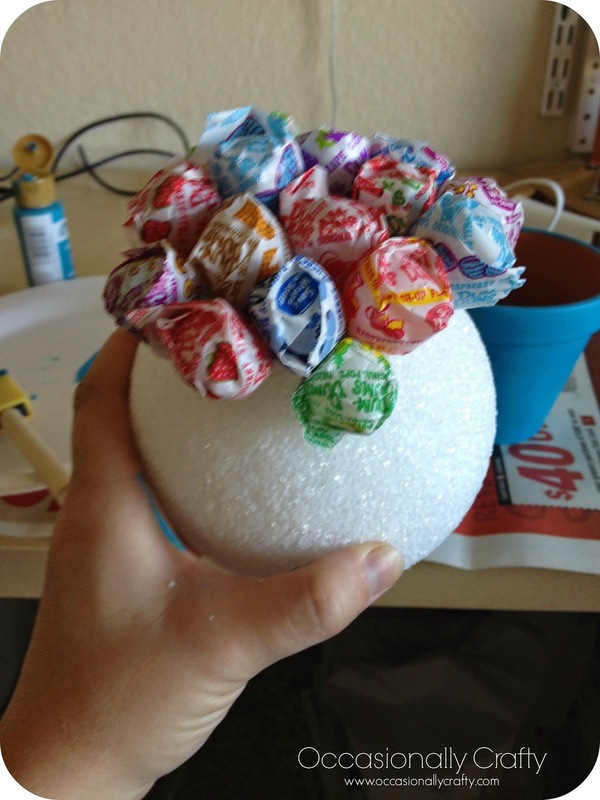 Simply stab a Styrofoam ball with a gazillion lollipops, and paint a ceramic pot with the color of your choice! I added some tulle for a bow and voila! For reference, I used a 5 inch Styrofoam ball and about 100 lollipops! The girls were able to easily grab a lollipop and go, no muss, no fuss! That's my kind of thank you gift! This week we have a lot of fun things for you, including our Halloween edition of the Sister's Challenge! 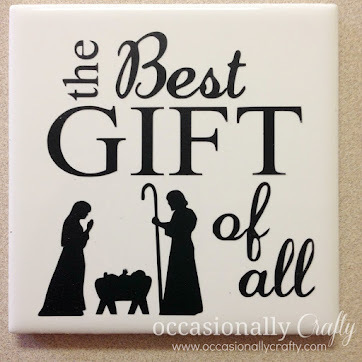 And don't forget about our giveaway from Paint-A-Pillow that ends in a few days! Haha, we all have a stash somewhere, right? This is so cute! 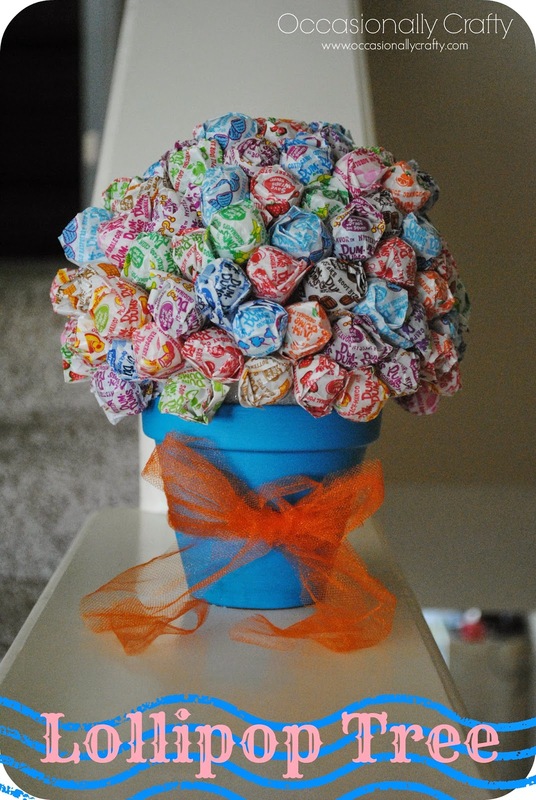 Great idea for birthday party centerpieces! That is a great idea! See, I knew it could be used in a lot of ways! Great + Easy += Alright with me! Love this! That's my crafting philosophy! :) Thanks for commenting! That is such a lovely decoration for a birthday! I think I'll do that for my son the next year! Thanks! That's a great idea! That is absolutely adorable, and you could color-code it for all seasons!